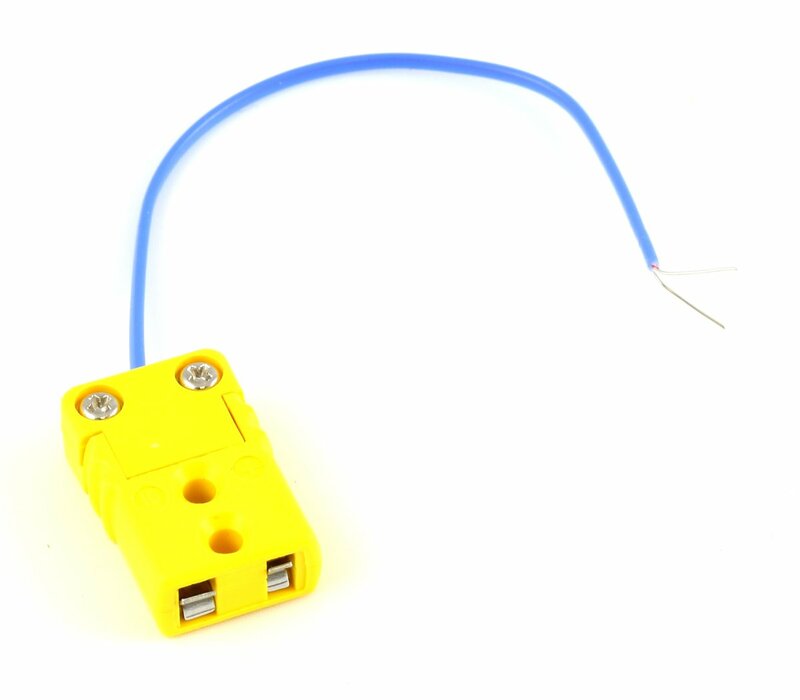 This adapter is designed to connect an Omega K-type Thermocouple with a Miniature Male Connector to a thermocouple interface that has terminal blocks. For more information on thermocouples, visit the Thermocouple Primer. Note: On the 1051 or TMP1100, connect the white thermocouple wire to (-) terminal block and the Red wire to the + terminal block. On the 1048 or TMP1101, connect the white wire to G and the red wire to input terminal block (numbered 0 to 3).